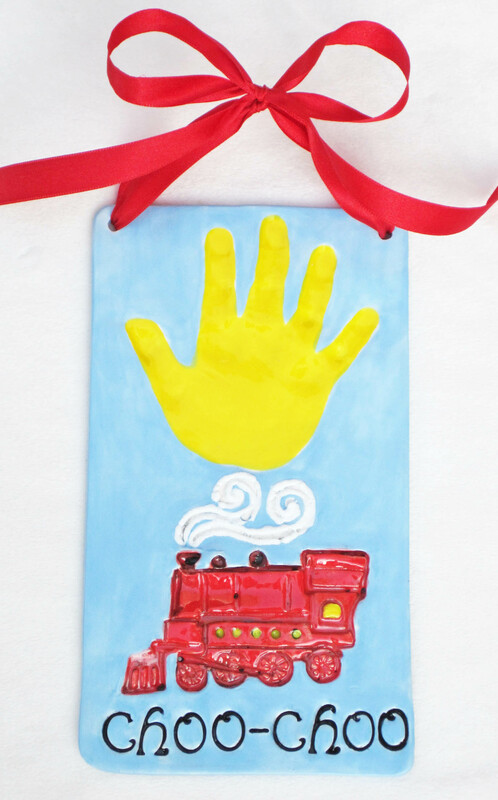 Single hand impression "Choo-Choo" Train Design. Perfect for your little engineer. If you want your child's name instead of "Choo-Choo" please specify when ordering. You can also choose whatever color combination you want. Includes ribbon for hanging, current age and birthdate engraved on back. $60.